With the business end of the Big Bash League 2018-19 set to get underway, the 38th match of the competition sees the Sydney Thunder take on the Melbourne Renegades in a crucial match for both teams in their tryst for a playoff spot alongside the Hobart Hurricanes. Both teams head into this match with disappointing outcomes in the recent past. While the Renegades were undone by a returning Marcus Stoinis, the Thunder were astonishingly denied the two points they deserved with a light failure rendering their clash versus the Heat as void. The Thunder have copped Jos Buttler's departure quite well with Shane Watson bursting back to form but he will have his task cut out as he takes on the likes of Kane Richardson and Cameron Boyce. Jason Sangha is back from national duty and is set to play at number four for the Thunder. This would mean that either of Arjun Nair or Jono Cook will have to make way. Cook delivered a maiden in the abandoned match against the Heat and with the presence of Aaron Finch and Tom Cooper, it is highly unlikely that Arjun Nair will play the match. Possible XI: Devcich, Watson(C), Ferguson, Sangha, Sams, Lenton(WK), Green, Jordan, Sandhu, Cook and Fawad. Possible XI: Finch(C), White, Harper(WK), Cooper, Nabi, Christian, Webster, Boyce, Richardson, Gurney and Tremain/Mennie. Wicket-keeper: Sam Harper is the highest run-scorer for the Renegades and the young wicket-keeper has taken up a lot of responsibility on his shoulders with two 'man of the match' awards to his name. He should be preferred over Jay Lenton who won't be many fantasy players' first choice. Batsmen: Ever since Jos Buttler and Joe Root left for national duty, Shane Watson has been dominant with a stunning hundred against the Heat. He is one for taking, along with Australian limited-overs captain, Aaron Finch. He is currently in the midst of a rough patch but should be backed to turn it around in this match. Either of Callum Ferguson and Jason Sangha would also fit the bill along with Tom Cooper. All-rounders: Daniel Christian and Daniel Sams have been among the best all-rounders in the tournament, both who are contributing consistently with both bat and ball. Both of them along with Kiwi Anton Devcich are viable options to go for. Bowlers: Kane Richardson has picked up a league-high 16 wickets in just eight matches and should be one of the first names on a fantasy team. Harry Gurney and Chris Jordan are also great options, with both of them being vital in the death overs. Either of Fawad Ahmed or Chris Green would also be sufficient. Captain: Aaron Finch and Shane Watson are the prime contenders for captain with their explosiveness known to one and all. Christian and Devcich are also good options. Fantasy Suggestion #1: Sam Harper(WK), Shane Watson, Aaron Finch, Tom Cooper, Daniel Christian, Daniel Sams, Anton Devcich, Fawad Ahmed, Chris Jordan, Harry Gurney, and Kane Richardson. Captain: Aaron Finch. 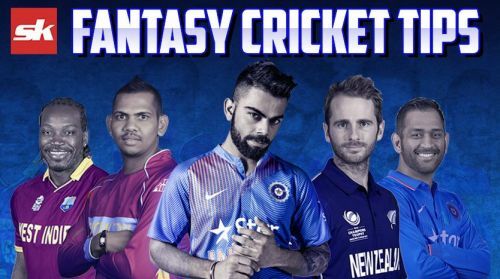 Fantasy Suggestion #2: Sam Harper(WK), Aaron Finch, Shane Watson, Jason Sangha, Tom Cooper, Daniel Sams, Anton Devcich, Fawad Ahmed, Chris Jordan, Kane Richardson, and Cameron Boyce. Captain: Anton Devcich.